In the summer, people strip down to just one sweatshirt on Oregon’s beaches. The water is too cold for swimming. But located on the 45th parallel – exactly half-way between the Equator and the North Pole, conditions are perfect for kiting. Kite flying has been popular in Lincoln City for so long, that 30 years ago, Kite Lines Magazine declared the area one of the top kite destinations in the world. 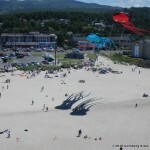 The city hosts three kite festivals a year (one completely indoors). And the D-River Park is the most heavily trafficked wayside park in the state. What better place to have a couple of kite stores! 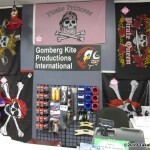 Gomberg Kite Productions has been in business 25 years. 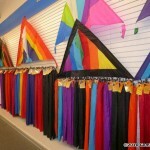 They specialize in large inflatable show kites and custom kites and accessories. In 2004 GKPI introduced the G-Kite label. 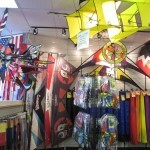 G-Kites are now distributed to stores throughout the USA and internationally sold online through three sites. 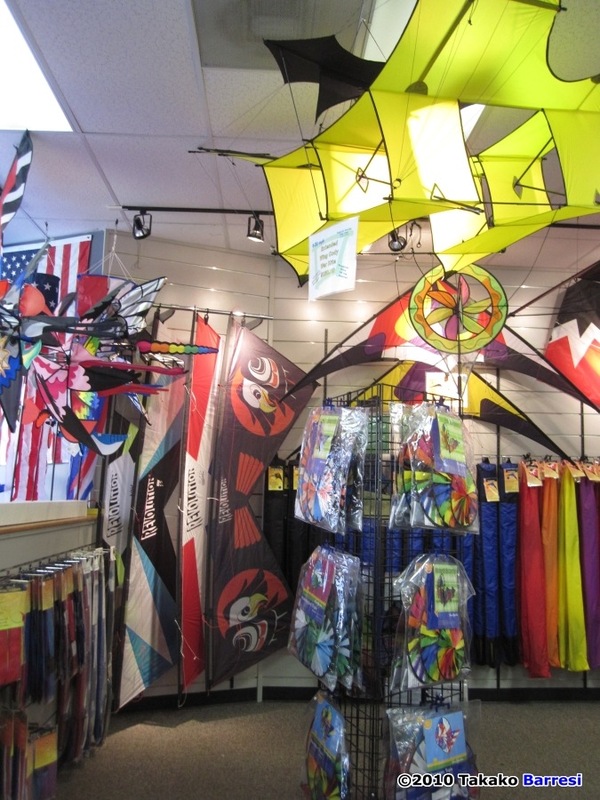 As long-established kite stores in Lincoln City began to fade, the Gombergs began to consider adding a G-Kites ‘bricks-and-mortar’ element to their company. “This is a kite town.” said David Gomberg. 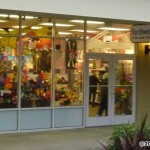 “The biggest shopping area is a Factory Outlet. And we own a kite factory. 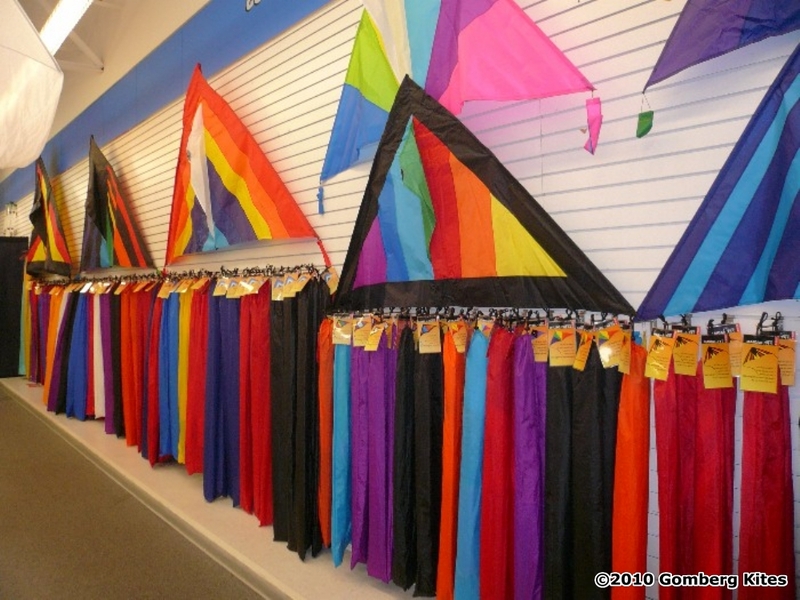 So it seemed like a perfect move.” But G-Kites didn’t seem like a good name for a store so GKPI created something with broader appeal. “Northwest Winds” opened in May of 2009. 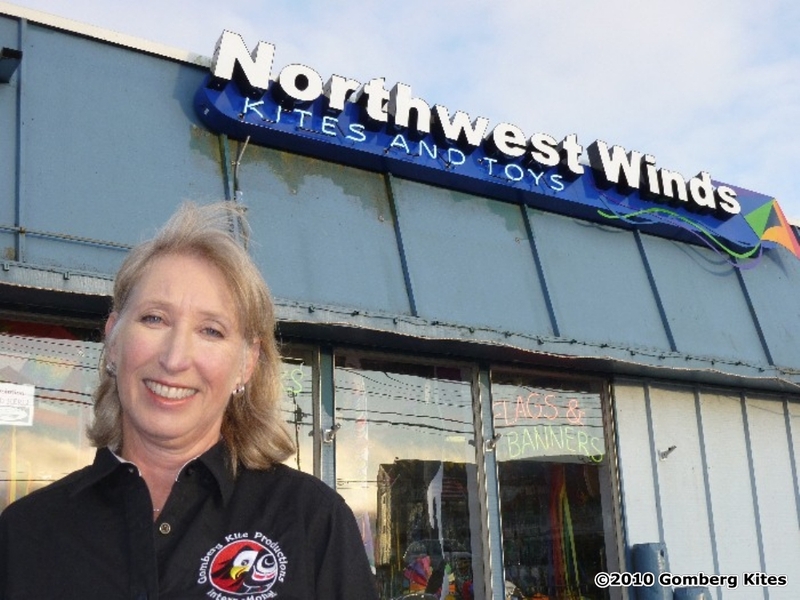 Eight months later, a retail kite space came available at the D River Wayside and Northwest Winds opened a second location. The company is family based with the retail division managed by Susan’s brother and sister-in-law, Jackie and Michael Oswald. (David and Susan typically work in the corporate offices on custom and wholesale projects rather than the retail space.) 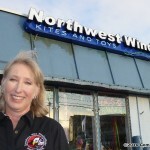 Additional employees include a husband and wife team, a long time Lincoln City kite flier, and Susan’s niece. 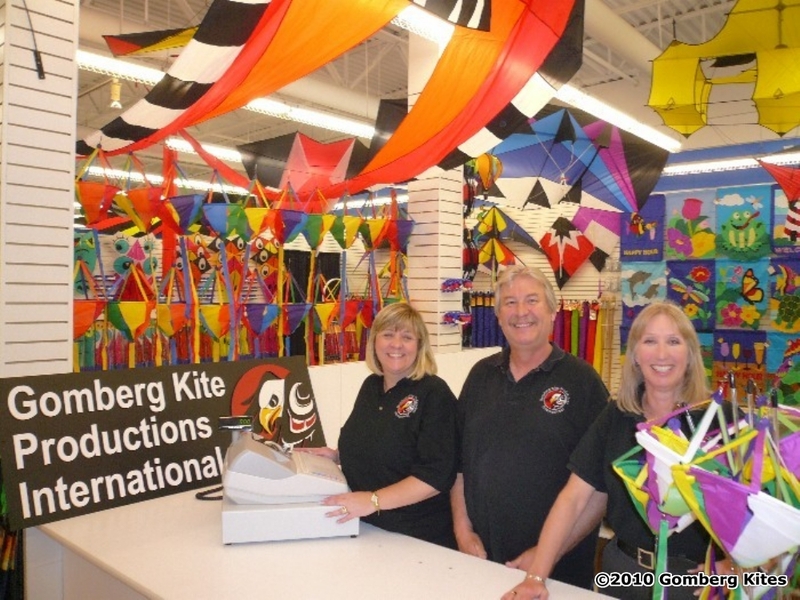 In 2004, Gomberg Kites was named one of the top three small family businesses in Oregon. 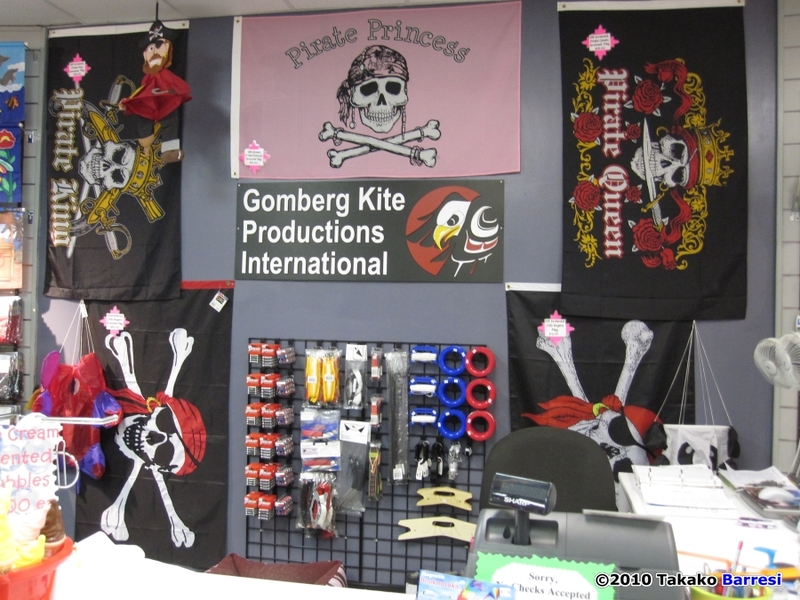 Northwest Winds’ focus is clearly on products manufactured by Gomberg Kite Productions. 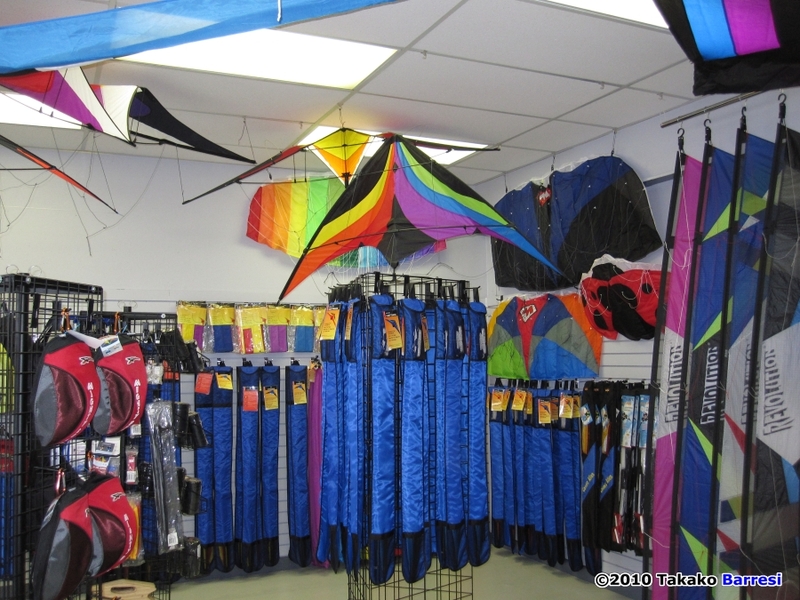 The stores sells kites, wind socks, flags, and wind toys. Northwest Winds does not, however, sell many of the larger showpieces that the Gombergs are known internationally for. “Most customers in our stores are looking for a $50 fun day on the beach or something to take home.” said Liz Oswald. 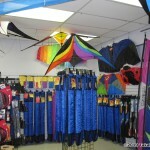 We carry a few bigger foils and inflatables. But for custom pieces and special orders, the web pages are the best place for information. 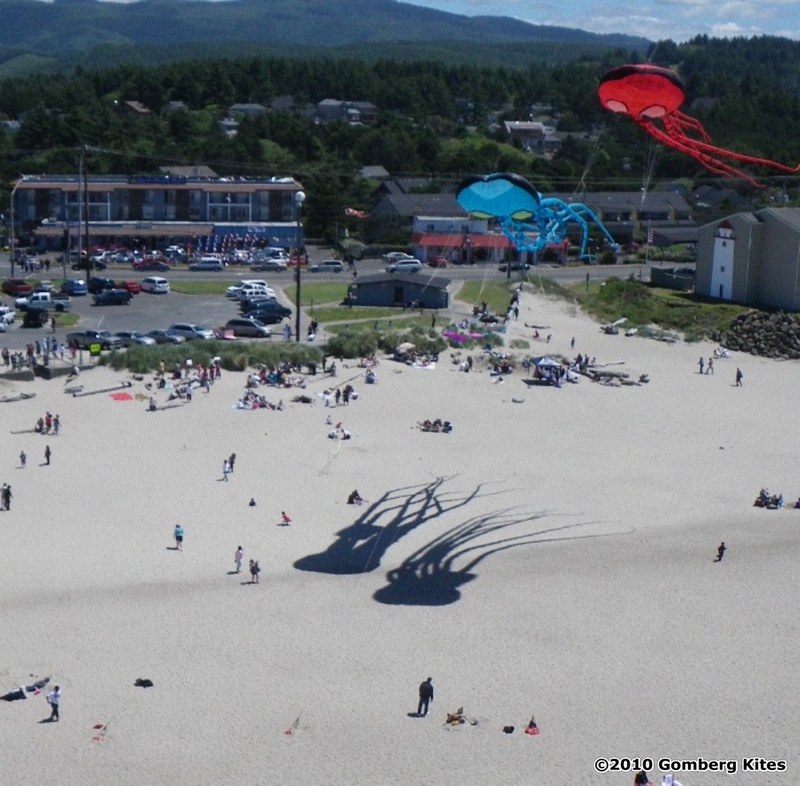 There have been kite festivals at the D River in Lincoln City for more than 30 years. And it is ideal for casual flying as well. Pull off the highway, park, and you are ten feet from the sand and smooth wind. The only possible problem is if the D River (officially the shortest river in the world) takes an awkward turn across the beach. But even then, there is more than seven miles of open beach along the city’s coastline. Lincoln City boasts more ocean-front hotel rooms than any city between Seattle and San Francisco and in all price ranges. 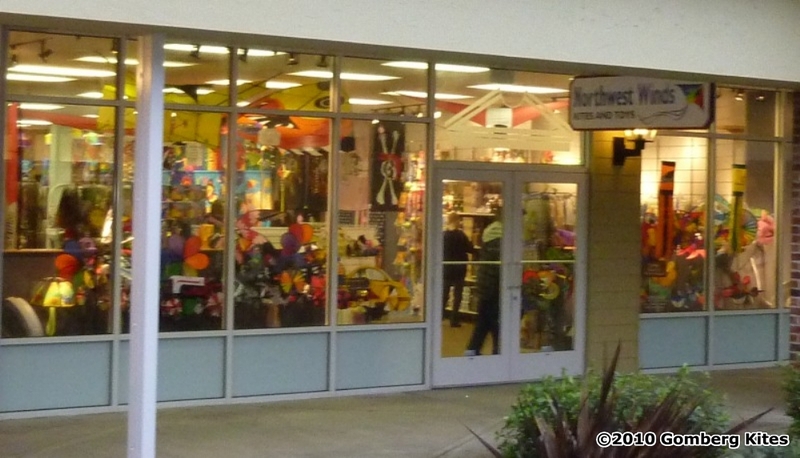 Mall manager Jackie Oswald added that Northwest Winds is working to support the greater Lincoln City message. 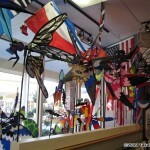 “Each weekend between June and October, we’re coordinating exhibitions of large kites at the Wayside. It isn’t just about selling kites. It is about helping people feel good about Lincoln City”. 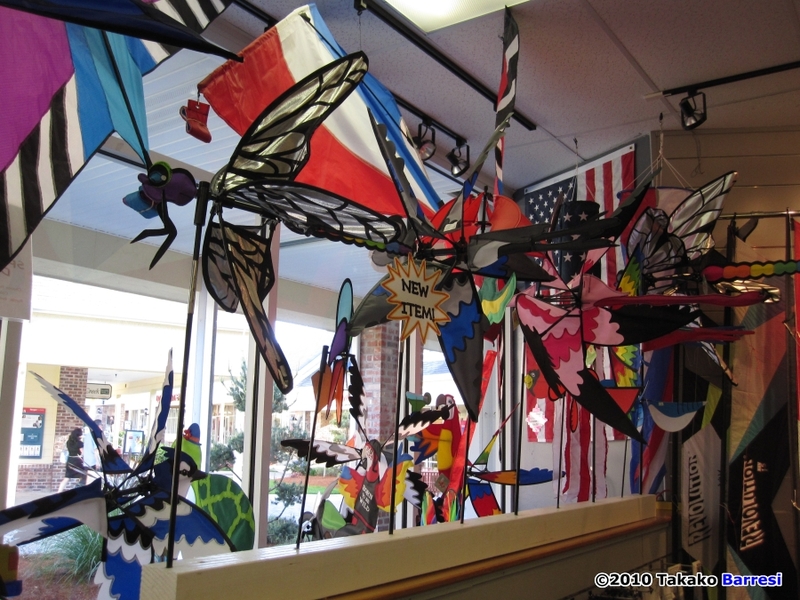 “Well certainly, we own more kites than anyone we know, and that’s a benefit!” said Mike Oswald. “We are constantly watching weather sites for updates on wind at the Wayside”, said Michael Oswald. GKPI has been a part of KiteLife since the very first issue. 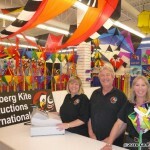 This entry was posted in 2010, Featured Store, Issue 74 (Sep/Oct), Kite Columns, KL Archive and tagged g-kites, gomberg, store. Issue 74: Buggy Newz: Life’s a Beach!